CONNECT ALL TEAM MEMBERS IN ORDER TO FOCUS, ON A MUTAL GOAL. GIVE YOUR TEAM A UNIFIED CHANNEL FOR CONTINUOUS IMPROVEMENT & KNOWLEDGE SHARING. Cloud based CMMS to simplify your maintenance activities, management of assets, work orders, contracts, resources, subcontractors and inventory. Modern and consistent user experience across all devices for all organization roles – from managers to onsite workers. People who enjoy the experience more, the more likely to use it. Do your work ‘on the go’ in online/offline mode anytime, anywhere using our mobile application for iPhone and Android. 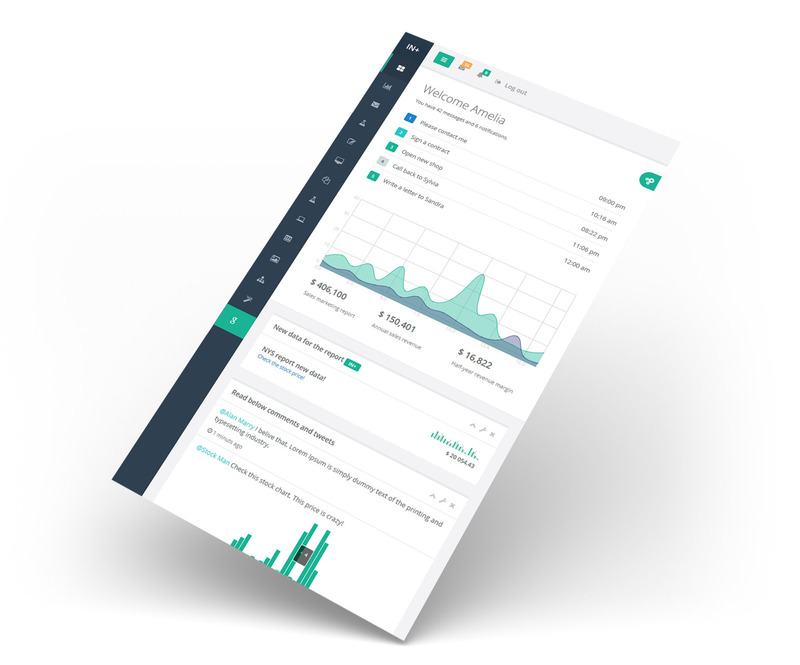 Use reports and KPI dashboards to save time & money with instant decisions! Real time monitoring helps you identify and rectify the problem as it unfolds, capture and analyze its feedback before it has a chance to harm your business. The utilization of service catalogs helps you to allocate and track resources (both human and systemic), compare effort, cost and quality of delivered work by certain resource including subcontractors. Invite your subcontractors to the application! Delegate work to subcontractors in capacity peak times and monitor their work by keeping control and supervision over delivery, quality and total cost. Improve processes in your organization! Increase overall employee productivity by providing unique channel of communication, work tracking and knowledge sharing on our continuous improvement platform. Full CMMS features configurable to your needs! Track your work orders with instant access to all of the information needed for planning, scheduling and completing all your work. Entry data only once and use lookup tables to eliminate the need to memorize codes. Every work order track service, labor, materials, tools, equipment, costs information together with related documents, blueprints, instructions and failure analysis. Import data about facilities, equipment, tools and other property. Track maintenance activities, specifications, warranty information, service history, spare parts, and service contacts. Monitor asset state and total costs in real time. Automatically create calendar and/or event based preventive and scheduled maintenance work orders to avoid or mitigate the consequences of failure of equipment to avoid additional costs and impact on your services and production capabilities. Track all services that your enterprise provides and/or consumes to identify most and least used, successfully delivered and failed services and monitor and compare cost and quality or work related to specific service. Get insight into cost and quality of each resource including subcontractors. Keep an accurate record of all your contracts, their associated values, start and end dates, assets and services included. Monitor in real time contract execution, actual costs and time plan. Check if your resources, subcontractors and/or vendors meet contract SLA. Track inventory transactions (in our out of inventory) and inventory items quantity, price and location. Automated alerts will notify you when item is out of stock or when minimum quantity has been reached. Use mobile device or tablet in the field to get your work done faster and better with access to all necessary work order information. Scan an asset barcode or QR code to get asset details, take picture of asset state and/or completed work while you’re on location and attach it to the work order. Our mobile application is available for iPhone and Android. Provide all your customers and employees with access to the request module to enter new service request, get notifications and check status of their requests. Included reports give insight into your company performance over time period and help you to make right business decisions. Save reports as PDF, print them or email to your colleagues. Export list views of assets, work orders, projects, contracts, inventory and services as excel file or PDF. 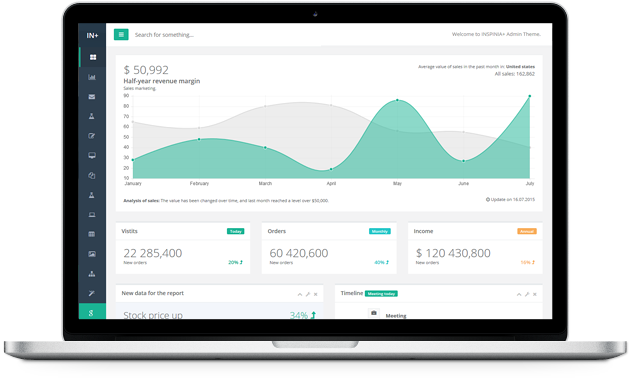 Provided KPI Dashboards give you real time overview of your business performance based on your role in the system and permissions rights. Integrate your line of business applications with our system using full API provided to exchange data, create work orders and change asset details. Connect devices to our system and send metering readings. Modify and extend predefined work order workflow to meet your business needs. Choose among our plans, enter your details and wait until we setup your tenant. It will take only few minutes. Import your assets, organization, contracts, resources and inventory. Create additional user accounts, set permissions and invite your coworkers and subcontractors to the application. Define preventive maintenance work orders, create work orders and projects. Reports and KPI dashboards within our application provide insights into performance of your organization everyday operations in real time. Identify gaps between actual and goal performance, determine causes of those gaps, determine how process inputs affect outputs, and rank improvement opportunities. Control future process peformance, update plan records on a regular basis and maintain employee training routine. Pricing We offer a range of subscription plans designed to fit your company goals, approach and budget. All plans include Unlimited Guest Requests and Mobile Application. Contact Us Interested in our product or just want to say Hi? We would love to hear from you about your experience with our product, or if you have a question that you cannot find an answer on our web pages.